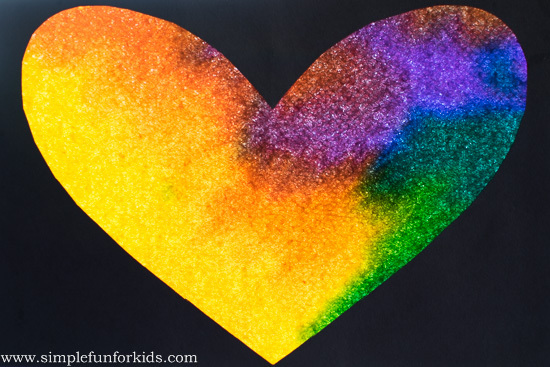 The black construction paper made a perfect frame to make those colors pop! From there, it was all quite simple. 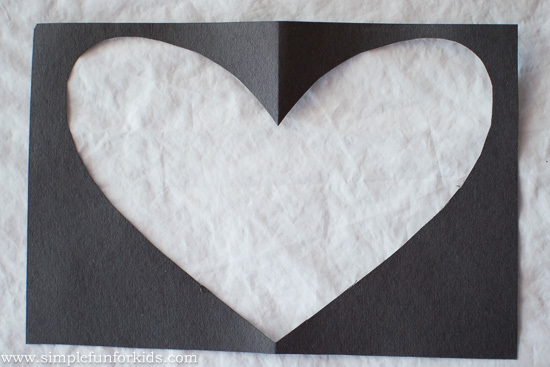 First, I cut out the negative heart with scissors. 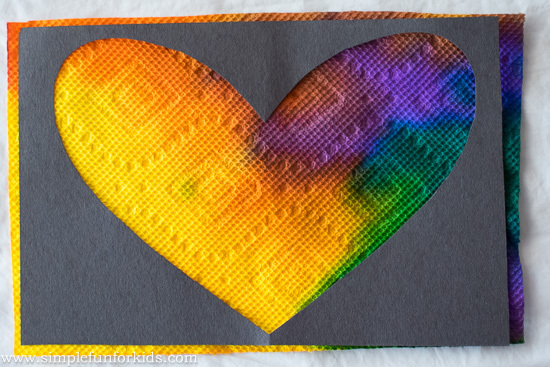 Then I put it on top of the paper towel to find the prettiest colors to fill the heart and roughly cut a rectangle from the paper towel to include those colors. 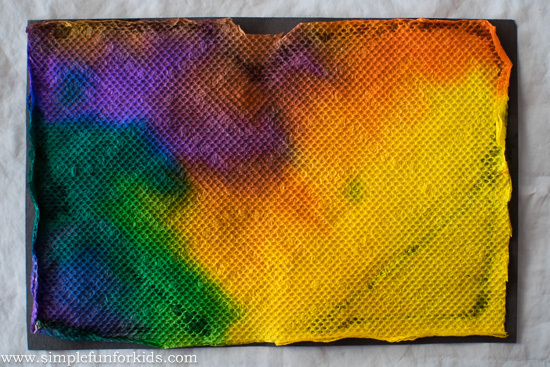 and stuck the paper towel rectangle on. 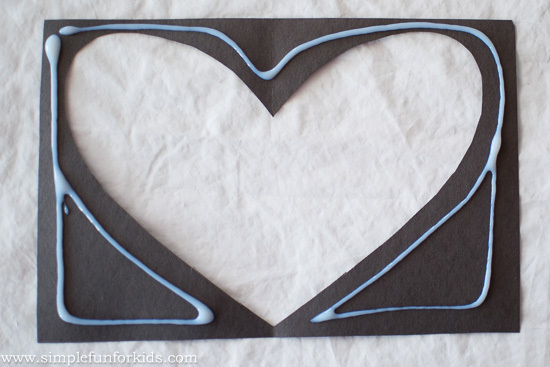 I trimmed the edges and bent them away from the edge a little – you may want to trim it a little more before gluing it on, it was a little fiddly the way I did it, and my scissors weren’t really sharp enough to cut the paper towel easily. 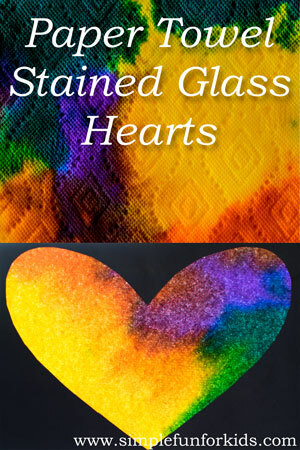 For another way of making a stained glass heart, check out this post: Tissue Paper Stained Glass Heart. I love art. 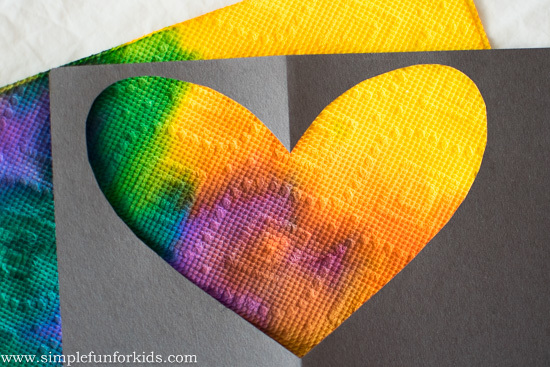 this has been very useful to help little and big kids. Thank you!! !